Our commitment is with brands’ reputation and best results. In a world of transformation, communicating must be thought about comprehensively. For us, the constant changes are not a problem. They are a challenge. One of the 3 best communication agencies in Brazil, we are connected to the world transformations and focused on our clients’ results. Technology has been revolutionizing the world. What was trend yesterday is story today. We are impacted daily by thousands of information and stimulations. It is in this competitive market that brands need to navigate and be different from others, by stablishing a dialog with all publics and creating long-lasting relationships, which are reflected directly into their reputation. For companies to be able to communicate with agility and efficiency, overcoming the expectations, while also being captivated, it is necessary to find a communication agency that has a far-reaching, integrating and tailored work. Grupo Printer is a consultancy agency specialized in mapping, diagnosing and solving the brands’ communications challenges with creativity, excellency and untiring search for results. For over 20 years in the industry, Grupo Printer is consisted of the Printer Press Comunicação Corporativa, PP puli, BRCom and RS360° agencies, which are integrated and focused on the clients’ connection with every strategic public. In 2018, Grupo Printer expanded its business, launching the Comwork.in, a co-working space intended exclusively to communications companies and professionals. The public’s opinion matters a great deal! While you take care of your core business, we take care of your reputation with several stakeholders. The bigger the engagement is, the better are the results. Relevant and customized content requires appraising of data available. This is our entry point to a strategic and assertive communication planning. Relationship is one of the acting cornerstones, built through important content, unprecedented and unique experiences and customized service to several target audiences. In order to reach relevant results, our clients need a strategy linked to the new communications reality, which breaks the existing paradigms, always respecting every culture. Improved solutions generate better results and do not always demand large budgets. We are focused on optimizing our clients’ budgets, without giving up on quality and results. Our expertise, competence and credibility are recognized by the market. 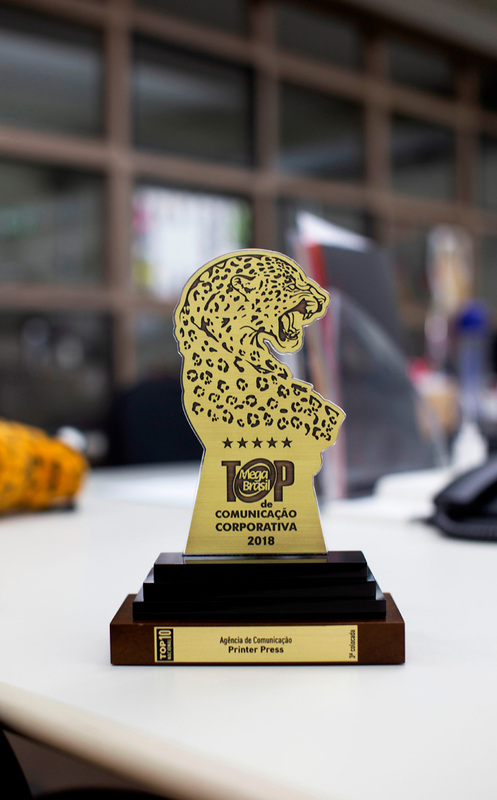 Grupo Printer is one of the top 3 Brazilian corporate communication agency, in TOP Mega Brasil 2018 Award! An exclusive coworking for communication companies and professionals, who wish to share and multiply talents and improve their businesses.